The Eco School Challenge is a school trip abroad out of the ordinary. We arrange Africa challenges and educational expeditions for groups of young adventurers from colleges and schools. A trip abroad in the developing world will stretch comfort zones, teach life skills, and expand minds outside the classroom. Worldwide Experience can provide tailor-made Africa challenges to suit the needs and ambitions of your group. We are already well established at a number of schools, colleges and universities within the UK, having planned their Eco School Challenge trips to various locations around the world. The aim of each school trip abroad is to promote a sense of adventure, leadership, responsibility and international understanding, preparing young people to meet challenges of the future with conﬁdence and compassion. Although each Eco School trip abroad is entirely tailor made, we know what works well and are able to provide draft itineraries as a starting point for the process of designing your Eco School trip. See some existing options below of Eco School Challenges we already provide. Education through experience is the heart of the Eco School philosophy, and our Eco School trips offer the experiences of a lifetime. Worldwide Experience will arrange expeditions packed with physical challenges and eye-opening cultural exchanges in some of the worlds most beautiful countries. Eco School expeditions are exhilarating journeys of self discovery that beneﬁt young people from all backgrounds. Operating in several countries, and with the emphasis on “making a difference,” our challenges are based around conservation and community work with the added extras of adventure and R&R. What makes each experience so special is that the Eco School Challenge is completely ﬂexible, and can be tailored to suit each individual group depending on what elements are required. We can help you make a completely unique itinerary for your school trip abroad. Join our project in their mission to care for rhinos and wildlife of all forms and sizes to help ensure the continuation of these species. 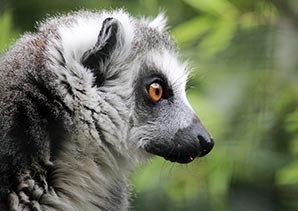 The majority of animals are cared for with the purpose of rehabilitating them into their natural habitat, rather than keeping them in captivity. Where this is not possible, we provide a sanctuary for orphaned or severely injured wildlife. After a week at the rhino orphanage, students will move to our 25,000ha reserve near Hoedspruit. 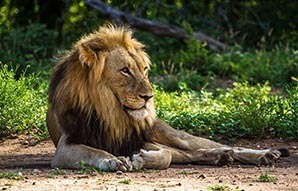 Our game reserve boasts thousands of wild animals, including all of the Big 5 – lion, leopard, elephant, rhinoceros, and buffalo. Students will truly live in the African bush, and work side by side experienced game rangers to ﬁnd animals through tracking technology, while assisting with animal monitoring, the core of the work done by this project. This data collection is done during bush walks and game drives in the morning and afternoons. 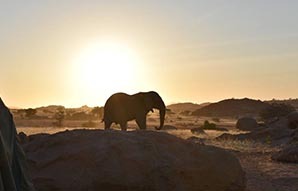 Student groups will have the rare and exciting opportunity to actively participate in the conservation, rehabilitation and research of African wildlife in stunning Namibia. Our sanctuary currently provides a safe refuge for orphaned, injured or ‘problem’ wildlife including a number of lions, leopards, cheetahs, wild dogs, caracals , warthogs, antelope and baboons as well as a host of birds, smaller African mammals and farmyard animals. 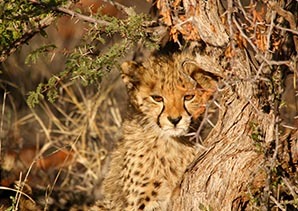 During this trip students also have the unique opportunity to visit one of our research sites in Southern Namibia, to assist with monitoring large carnivores. 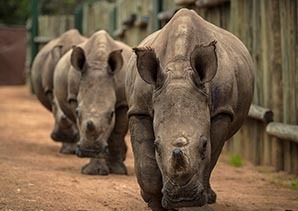 Students can join us in Zimbabwe to help conserve endangered Black Rhino and other wildlife on a Big Five game reserve at Victoria Falls, Africa’s Adventure Capital. 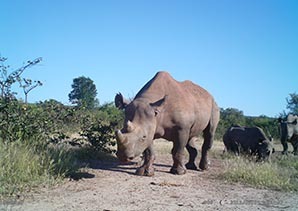 The reserve is declared an intensive protection zone for the last population of Black Rhino in this region. Your group will join our team’s integrated conservation approach, helping with reserve management, wildlife monitoring, environmental awareness, sustainability initiatives and community upliftment. Groups are also taken on a guided tour of the magniﬁcent Victoria Falls, one of the seven natural wonders of the world. With marine conservation in the global spotlight, we ﬁnd more and more schools want to help us conserve marine wildlife. In Mozambique, students will learn to scuba dive through completing a PADI Open Water Dive course, enabling them to assist with coral reef research. Groups also join boat trips to assist with research of marine megafauna. 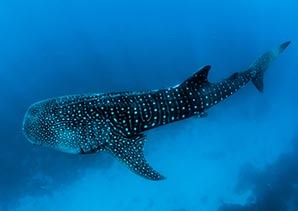 All data is being used to lobby for the establishment of a Marine Protected Area, ensuring a more promising future for threatened species like whale sharks, Manta rays and the famous Humpback whales. Student groups are invited to join us at the only genuine working guest ranch in Croatia, surrounded by 2 million acres of UNESCO protected pristine wilderness. 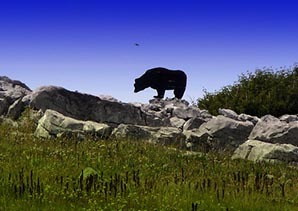 Conservation activities include wildlife watching for many species including Brown Bear, Eurasian lynx, Balkan chamois, red and roe deer and if lucky Grey wolf. Our team is supported by Rewilding Europe, which aims to rewild 1 million hectares of the European landscape by 2020, making Europe a wilder place, with much more space for wildlife, wilderness and natural processes. A unique opportunity to work alongside scientists, conservationists, educators, community partners and local villagers deep within the heart of beautiful Sri Lanka. 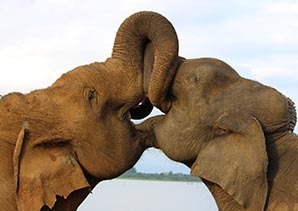 The Sri Lanka Wildlife Conservation Society (SLWCS) is an international, community-based organization committed to the research, conservation and protection of Sri Lanka’s endangered wildlife, communities, and natural habitats. SLWCS has been operating its Volunteer/student Program since 2002. You’ll be immersed in the local culture and ecology surrounding Wasgamuwa National Park, home to wild Asian elephants, sloth bears, leopards and many other endangered wildlife in one of the most biodiverse protected areas in Sri Lanka. Our groups will gain in-depth knowledge and skills as you carry out essential conservation work! Organizing your Eco School Challenge couldn’t be easier. Our fully trained UK and in-country teams are on hand every step of the way to help tailor your trip abroad to your school’s exact requirements. There a number of activities to choose from, with each of the Eco School Challenges beneﬁcial both to the nature reserves and communities which you assist, and to your students on their unforgettable school trip abroad. 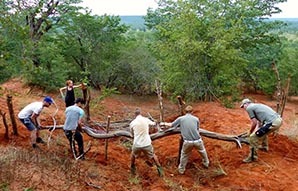 Eco School activities might include teaching, care and outreach projects in struggling communities; maintaining nature reserves that are home to elephants, big cats and rhinos; and tracking or caring for safari animals. 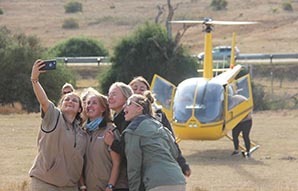 Imagine a school trip abroad that includes a night time game drive or survival style sleep-out on a game reserve! Whether you want to focus totally on conservation elements, or spend the majority of time working with the community, we can create detailed itineraries for Africa challenges based on what you and your students require. 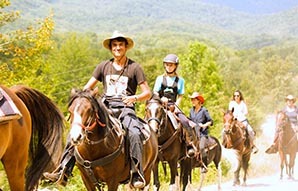 We also run Equestrian Riding Trips in South Africa and Croatia! We provide you with a constant service, making the preparation for your school trip abroad as easy as possible. Our experienced UK team will provide all the support you need in the build up to your Eco school challenge. We can come and present the concept to your students to help generate interest, and we also run Q&A sessions for tutors, parents and pupils prior to departure to help settle any pre-departure queries. Click here to contact us and a member of our experienced team will be in touch to explain the ﬁrst steps to building your Eco School Challenge. As part of Worldwide Experience’s dedication to our clients we provide back up and support for all groups in the lead up and duration of their challenge. We work closely with the organising tutors and members of the school to ensure the challenge is not only worth while and fun but also safe and well organised. If you think the Eco School Challenge is a great idea for your school groups excursion you can arrange for a Worldwide Experience representative to give a presentation to your pupils and staff giving more detail on the challenge and its ﬂexibility. Included in the total cost of the challenge is – Return ﬂights form London to South Africa/Namibia/Zimbabwe/Croatia; Transfers; All Meals; All activities selected for the group; pre challenge support; in challenge support; post challenge reﬂection.